In the run-up to the General Election, there’s remarkable value to be found in our eastern counties. From high-profile farms and estates to country houses, mill houses and old rectories, there’s remarkable value to be found in the eastern counties in the run-up to the General Election. With prospective vendors of several important country houses preferring to bide their time until the political dust has settled, most of the houses on offer fall within the £1 million to £2 million price bracket, while the market for farms and estates—driven by a totally different set of parameters—quietly pursues its own agenda. Stimulated by the expansion of the Addenbrookes bio-medical campus and the transfer of AstraZeneca staff from Cheshire, the market for country houses within the Cambridge/Newmarket/Bury St Edmunds ‘golden triangle’ is thriving, says Ed Russell of Jackson-Stops & Staff in Newmarket (01638 662231), who has launched Grade II-listed The Old Rectory (Fig 2) at Great Bradley, eight miles south of Newmarket, onto the market at a guide price of £2.45 million. Fig 2: The Old Rectory at Great Bradley. £2.45m. 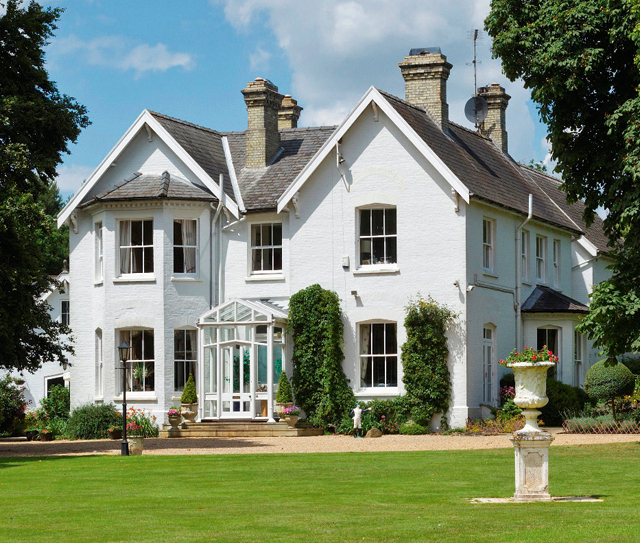 The impressive late-Victorian former rectory stands in some six acres of lovely mature gardens and grounds on the edge of the ancient Saxon village, the first settlement on the river Stour that forms the border between Suffolk and Essex. The old rectory stands in a secluded setting on the edge of the village and comes with a coach house, a leisure complex, barn stabling and paddocks. It boasts a grand reception hall, four fine reception rooms, a splendid kitchen/breakfast room, six double bedrooms, four bath/shower rooms and a heated indoor swimming pool. Far from the madding crowd and within range of the Suffolk coast, the county’s best schools and a good train service, Grade II-listed Charsfield Hall (Fig 1) at Charsfield, six miles from Woodbridge, is testing the water through Savills in Ipswich (01473 234800) at a guide price of £1.975m. Sympathetically restored by the vendors, the immaculate 16th-century, six-bedroom house with 17th-century additions stands on high ground on the edge of the village immortalised in Akenfield, Ronald Blythe’s celebrated study of Suffolk rural life. The 5,600sq ft Charsfield Hall, once part of a large medieval estate, stands in 22 acres of gardens, woodland and meadow in the picturesque Deben valley, some 10 miles from Ipswich. It comes with a two-bedroom annexe, barns, garaging, a tennis court and a heated outdoor pool. Fig 3: Kings Mill at Littlebury, Essex. Offers over £1.85m. Launched on the market in this week’s Country Life is charming, Grade II-listed Kings Mill (Fig 3) at Littlebury, near Saffron Walden, Essex, at ‘offers over £1.85m’, through the Cambridge office of Strutt & Parker (01223 459500). 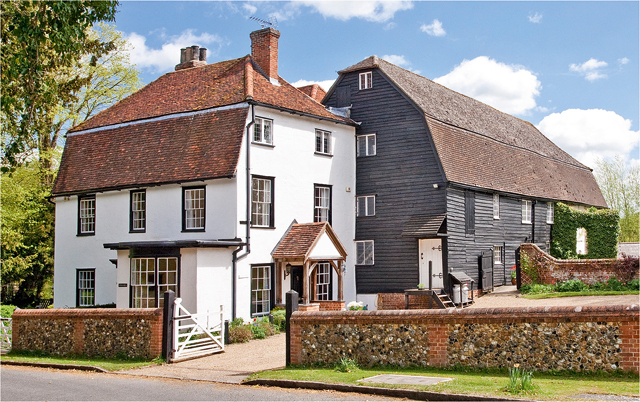 The mill house dates from about 1777, although the mill itself is mentioned in the Domesday Book. The house, then part of the Audley End estate, was built by John Glynn and Richard Ward, the master bricklayer at Audley End House. Another estate link was Kings Mill’s association with the eccentric architect Henry Winstanley, Charles II’s clerk of works at Audley End, who lived in Littlebury and owned part of the mill house’s present garden. Winstanley was the first man to build a lighthouse on the fearsome Eddystone Rock off Plymouth, which ultimately led to his death—he was swept away by a mighty storm there in 1703. A mound in the garden at Kings Mill was once the site of a building used as a viewing point overlooking the river and may have been a ‘dry run’ for the lighthouse. It’s thought that some of the timbers and stone used for that project were later incorporated in the construction of the present mill house and barns. The current owners, who bought the house as a virtual wreck in 1999, have done a remarkable job of restoring the 9,300sq ft building, which has accommodation on three floors, including three reception rooms, five bedrooms and three bathrooms. The mill’s 3.8 acres of enchanting riverside gardens—a mix of wild garden and manicured lawns—are a tribute to the owners’ inspired planting over the years. City-based Londoners are once again scouring the Essex countryside for family homes, says Paddy Pritchard-Gordon of Knight Frank, who is busy establishing his firm’s new East Anglia base in Bishops Stortford. Here, again, the £2 million threshold clearly comes into play and Knight Frank (01279 213174) and local agent Valerie Loveland (01621 893141) quote a guide price of £1.975m for imposing, Grade II-listed Beacons (Fig 4) at Wickham Bishops, which has spectacular panoramic views over the Blackwater estuary. Beacons was designed by the Essex-born architect Arthur Heygate Mackmurdo, who honed his skills among the likes of Ruskin, Spencer and William Morris. The 5,740sq ft house stands in four acres of beautiful gardens and grounds, 12 miles from Chelmsford, and has three elegant reception rooms, a garden room, a kitchen/breakfast room, a tower room, six bedrooms, three bathrooms and a two-bedroom cottage. Leisure amenities include a swimming pool, a tennis court and a gym. ‘Mansion tax—what mansion tax?’ asks laid-back Ben Marchbank of Bedfords in Burnham Market, North Norfolk’s most sought after village, which, he says, ‘trundles on regardless’, seemingly unconcerned about property taxes or the outcome of the General Election. He cites the example of a house there that was sold for £3m in November 2013. A year later, a prospective purchaser turned up wanting to buy the property and was told it wasn’t for sale, but ended up buying it for a reputed £6m. That’s Burnham Market. Fig 6: The Old Rectory at Burnham Market has a coach house and stabling. Bedfords (01328 730500) quote a guide price of £2.2m for classic Georgian The Old Rectory (Fig 6), Burnham Market, which was built in 1808–9 by the Coke family of Holkham as a home for its retiring estate chaplain, the Rev Henry Crowe. The house became the village rectory in about 1860 and was owned by the Church until 1982, when it became a private house. The present owner has lived there since 1987. The house, which has changed little since Georgian times, stands in almost an acre of walled gardens and grounds and has three reception rooms, a kitchen/breakfast room, six main bedrooms and three bathrooms. Ancillary buildings include a coach house, stabling and a range of outbuildings. 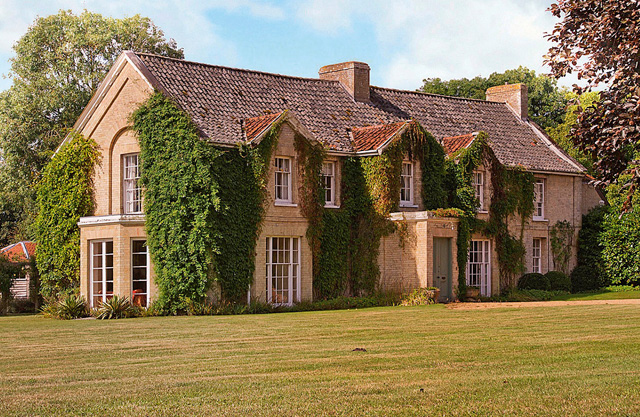 Frustrated at the timing of the Election, which has meant the postponement of several major country- house launches, Louis de Soissons of Savills in Norwich (01603 229229) is instead hitting the sub-£2 million market with a trio of grand old rectories. Fig 5: The Old Rectory at Blickling stands in 1.3 acres. £1.65m. Top of the list, at a guide price of £1.65m, comes 17th-century The Old Rectory (Fig 5) at Blickling, 12 miles from Norwich, which stands in 1.3 acres of landscaped gardens on the edge of the National Trust-owned Blickling Park estate. Acquired by the present owners in 1999, the 6,868sq ft house has been renovated throughout and offers four main reception rooms, a large kitchen/dining room, eight bedrooms and five bathrooms. Fig 7: The 14th-century Old Rectory at Oxborough. £1.375m. 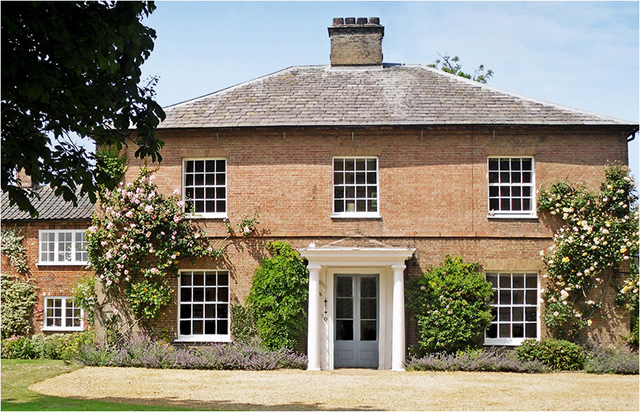 Also on the market, at a guide price of £1.375m, is The Old Rectory at Oxborough (Fig 7), seven miles from the Georgian town of Swaffham, which sits in 16 acres of gardens and paddocks with far-reaching views towards Oxburgh Hall, also owned by the National Trust. The former rectory, which dates from the 14th century, was largely remodelled in about 1750, when it was home to the Rev Charles Parkin, who collaborated with the Rev Francis Blomefield and, in fact, wrote the bulk of his History of Norfolk after Blomefield’s death in 1752. The main house has 5,255sq ft of accommodation on three floors, including three reception rooms, a conservatory, a kitchen/breakfast room, seven bedrooms and four bath/ shower rooms. Fig 8: The Old Rectory at Gresham. £1.2m. 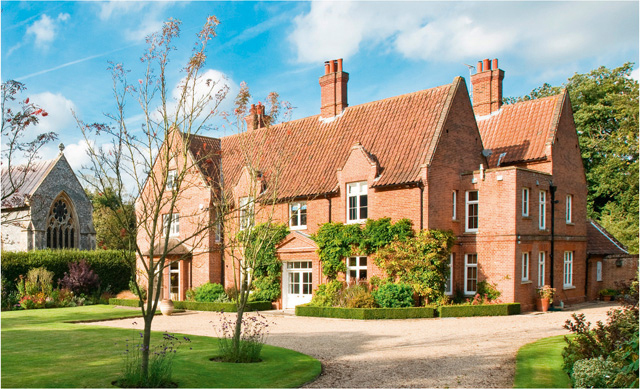 Finally, for sale at a guide price of £1.2m, is The Old Rectory (Fig 8) in the unspoilt north Norfolk village of Gresham, five miles from Holt, which has been the cherished family home of the current owners for the past 23 years. This gem of a house, which dates from the late 17th century, with 19th-century additions and alterations, stands in 1.4 acres of gardens and grounds and has three main reception rooms, a study, a kitchen/breakfast room, six bedrooms, three bathrooms and three attic rooms.